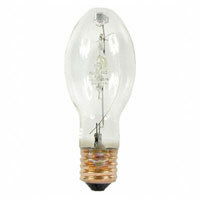 High Intensity Discharge (HID) lamps encompass Mercury, Sodium, and Metal Halide type lamps. 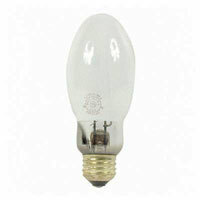 These are lamps that are very energy efficient relative to incandescent or halogen and generally have longer life. Nearly all the lamp types in this category must be matched by both type AND wattage to a specific ballast for proper operation and life. Mercury is now largely out of use. It is the least efficient of the three and has a distinctive, greenish hue to the light. 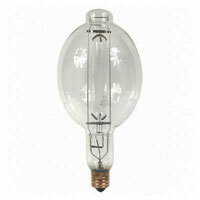 If you currently use Mercury lamps ask us about some options. Sodium lamps, both low and high pressure, are going out of favor due to the distinct orange hue, even though they are the most efficient of the three. 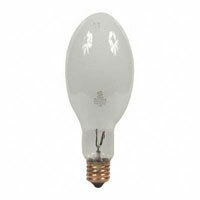 Metal Halide is the clear favorite in this category due to it's whiter light. The number of shapes and sizes, as well as wattages and efficiencies are growing rapidly.